If you wanted to be mean to me (and why would you want to do that? I’m quite nice really) you could point out that Aye Tunes always has a bit of a Glasgowcentric, West Coast bias. It’s true, but it’s not really my fault. I live hear, so I know more about what is going on at this side of Scotland than I do in Aberdeen, Dundee, Edinburgh or wherever. Anyway, just for you hypothetical mean people, let’s swing the spotlight outside of Glasgow. 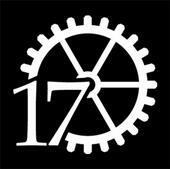 17 Seconds Records is, as the name might suggest, a record company. Run by Ed, who is also the brains behind the long running 17 Seconds blog, they are based over in Edinburgh. Already there’s a fine roster of artists signed up to the 17 Seconds Records roster, a couple of whom I’ll be talking about a bit today. Aberfeldy were one of the first acts signed to 17 Seconds, and now one fifth of them, Chris Bradley, is signed up solo too. Chris already has one solo album to his name, Voices, which 17 Seconds will be re releasing next year. Before that though comes a single ‘Bored Little Rosie’/’The Man I Love’ out on October 5th and a second album, tentatively titled Go On, My Son to follow in November. Here’s a little taster from the new album. Another early signing to the label is Tony T, better known as X Lion Tamer. Described by himself as “Sounds like the ending credits of low budget 80s teen movies – played on your mate’s Amiga”, X Lion Tamer is a world away from the other music on 17 Seconds Records, and from most artists generally featured by Aye Tunes for that matter. There’s two download singles available by X Lion Tamer, both of which have now been combined and made available on CD as Neon Hearts EP. The following song Life Support Machine is available on the Neon Hearts CD and as the second track on the download single. hey, cheers for the mention we (escape act) are also playing the 17 Seconds show at the 13th Note – looking forward to it! Ooh, that’s an extra reason for me to try to get along then! Now here’s the thing Jim…..I’m also intending to get along to the 13th Note that night. I’m sure we’ll all be on our best behaviour, won’t we?